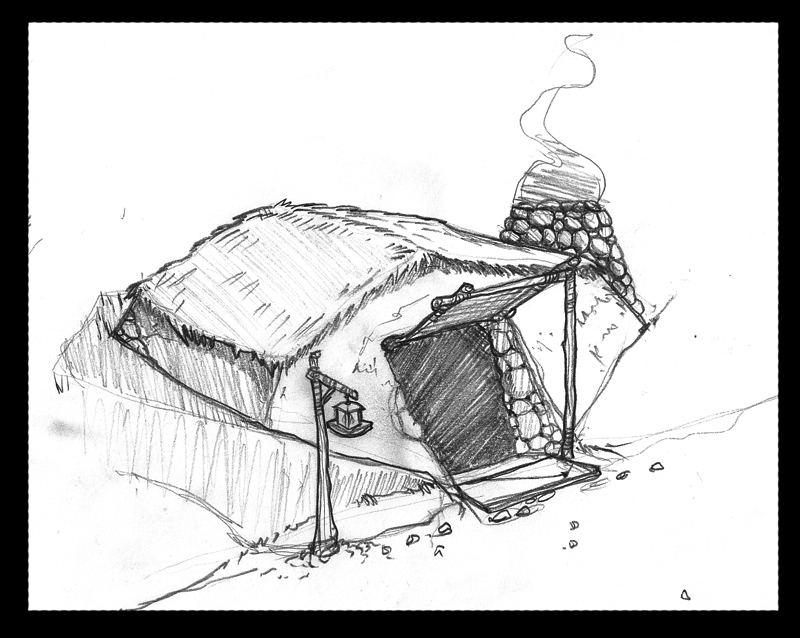 While halflings have no cities of their own, many form small communities and towns revolving around a gathering point, such as a well or the Clan Mother's residence. Like the hill burrows some clans are known for, all of their homes tend to be modest and made with respect to their surroundings. Other halflings travel in caravans along trade routes or other roads, seldom settling in camps and never staying put for very long. Those individuals who choose neither a halfling community nor a caravan and a dusty road for a home tend to settle in human cities. There, they and their families make their own way in those sprawling masses of tall people.